September 2014 Whew! What to say about this event? The eyes of the nation were tuned in to the media coverage for the huge fire. Hundreds of individuals affected, either by evacuation orders, friends and family displaced, or actual loss sustained to their properties. Those under order of evacuation needed some place to take their animals until they could return home. 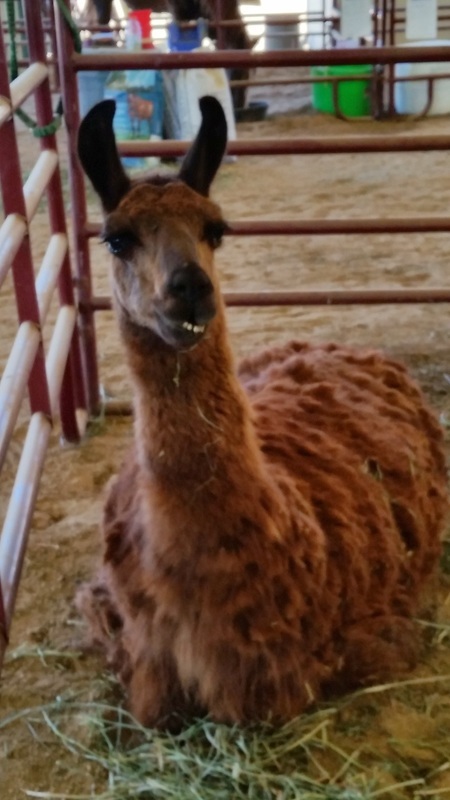 Sclar was able to assist Animal Services by transporting and caring for hundreds of animals, while their homes were under order of evacuation. With the partnering of El Dorado County Search and Rescue, Mounted Division during this event, Sclar was able to provide a 24/7 intake and housing station at the El Dorado County fairgrounds. More kudos to our fire responders! We've said it before and we'll say it again - the firefighters are awesome! Sclar was activated although no animal evacuations were needed, we did respond with a trailer team and were staging at Dawson Oil. Released at 4:18 pm. This fire destroyed one home and several outbuildings. We all knew we were due and sure enough, fire broke out in the Salmon Falls area, threatening several horse properties. Sclar was activated in the late afternoon. Our fire responders are so awesome that, before we could arrive at the designated staging area, they had eliminated the threat to residential properties. That fire involved 108 acres. Quite early in the season, Sclar was activated for the fire in the Rescue/Luneman Rd. area. 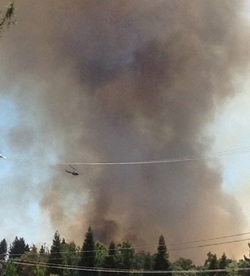 Many of us were stunned to be called out for a fast moving fire in an area that required evacuation. Thanks once again to our extremely capable fire response personnel, who soon had the incident under control. Things were quite tense for a while. Fortunately, no animal evacuations were necessary. Our turnout was excellent and we had 7 trailers on scene within an hour, and a total of 15 people, with more available if the situation progressed. Were we ready for this? Yes we were!! Were we expecting the call? Well....maybe not THAT early in the spring. 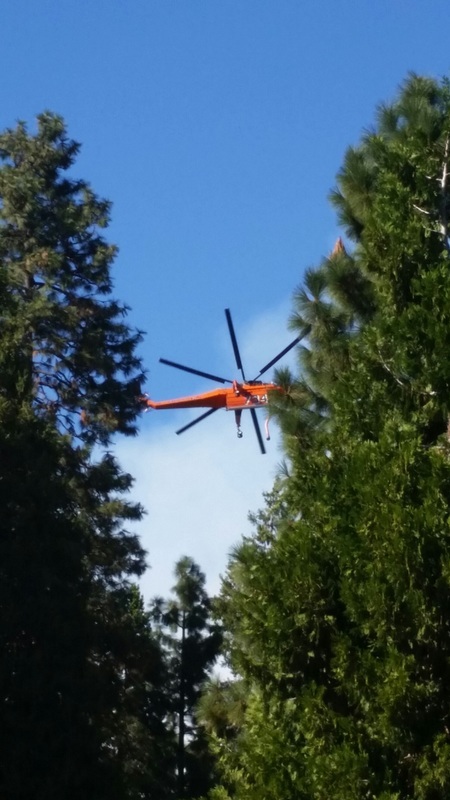 Sclar was on official standby for the Angora fire at South Lake Tahoe. 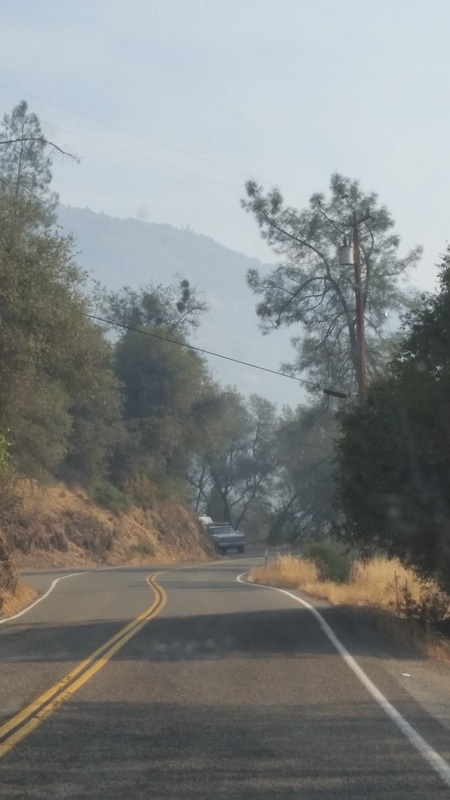 At 7am on Tuesday, June 27, Henry Brzezinski, who is Chief of El Dorado County Animal Services, placed Sclar on standby status for the Angora fire. All members were notified immediately by our telephone tree and prepared for call-out. As the large animals were successfully evacuated by local resources, Sclar’s trailer teams were on standby to serve as a rapid, efficient means of moving the many small animals whose evacuation shelter was at risk of being threatened by the rapidly expanding fire. We remained on standby alert until 8:00pm on June 28, when we were officially informed that we could “stand down” because the fire appeared to be under control. Many thanks to all of our members who made arrangements to leave quickly if and when we were notified to proceed. Henry Brzezinski, in his stand-down call, passed along his thanks to all Sclar members as well as appreciation from Norma Santiago, who is the El Dorado County supervisor from the Lake Tahoe region. Good job, folks!! As many of you know, we were activated by Animal Services the evening of August 31, 2006. Even though actual evacuations were unnecessary, we had 4 truck/ trailers respond with several more en route before we were released. The equestrian arena on South Shingle road was our staging area. We called Dr. David Turoff and alerted the area evacuation site we had enrolled last year. While the duration of the call-out was a relatively short time, it does illustrate how effective we can and will be if needed. Nancy K. was invaluable in calling volunteers. If you did not receive a call, it was because we concentrated on calling out the volunteers in the vicinity, who could respond the quickest, first. Then calls were made to the remainder of the membership as time allowed before we were released. This was not a wasted effort! Animal Services was impressed with our timely response and most appreciative of the support. We were also in contact with Noah’s Wish. All in all, a very productive effort. A HUGE KUDOS and ATTA BOY/GIRL to ALL THE VOLUNTEERS who dropped what they were doing to respond!! !